Russell Brown had a good post last week about National’s dodgy use of statistics in the interest of pushing their gang legislation. Jarrod Gilbert is understandably not pleased, having tried to correct the figures at the time. Russell also cites the false Media7 figures used to close that down. If National are willing to lie about minor planks like this, what will they make up to get their main agenda through? Obviously their biggest policy was Asset Sales, which they started off telling us pre-2011 election would raise $10-12 billion, but raised less than $5 billion. On the big issues of our times: they’re willing to manipulate inequality figures, but they just ignore climate change – presumably there’s no possible grooming of the figures to make them look good. Between this and Dirty Politics, how can we trust a thing they say? You cant trust them,but preaching to the converted wont change anything.How to emphasise their mendacity ,so the public understand the real implications is the hard part. Problem is the public trust the left even less. Yes it makes me wonder whether some of the ‘mutual admiration virus I see on this forum from time to time ,is the way the public interprets some Labour policy…i.e we know whats good for you!The Natz with help have perfected the various ‘arts’ of simplicity,red herrings, and the old standard of cultivating fear and offering supposed solutions. Spot on, if you read through the posts on this site, I can only remember one that has had anything positive to say about the National Party in the last 5 years. Apparently the National Party and therefore the public who voted are completely wrong all of the time, and then the left wonder why people are turning away from their parties? All the public hears is, negative, negative, negative, vote for us cos we won’t do what National are doing! Meanwhile unemployment is falling, wages are rising, immigration is rising due to the state of the NZ economy, children are being fed breakfast in schools, the minimum wage has been rising at almost twice the rate of inflation, the Chch rebuild is accelerating, the Government books are heading back to the black, but forget all of that Joe Public, National are evil and wrong! I can only remember one that has had anything positive to say about the National Party in the last 5 years. I think most people are smart enough to know that any party will shuffle, spin and cherry pick statistics to suit their agenda. I believe half of the left’s problem is that many people just don’t believe we have 260,000 starving children. They see dodgy stat presentation. I don’t think there is much advantage to be had in pointing out the holes in National’s statistical chest beating. Currently, the left is Pepsi, those guys are Coke. There is limited value in slagging off Coke. To win, to get people reaching for Pepsi we need to create a product that people prefer. Simple as that. I think 1 ingredient needs to be swapped for another. We need to swap being cry babies for ‘All we ask is a reasonable chance to get ahead.’ An opportunity creator government. The small business operators and middle management that have left the left, we all have concerns about what the future holds for our kids. All Mums and Dads would like to see a broad and viable array of career opportunities for their kids. Regardless of our station in life – Our families come first. Regardless of what dodgy numbers National want to run up the flagpole, move the focus from other peoples’ supposedly hungry kids to my Nat voting neighbour’s kid’s future and we’re going to have a much better chance of capturing his imagination. Cry babies attract lip service and token action. Lullabies and ‘there there’. While I don’t disagree with your principle of offering hope rather than whinging, my point was more that these aren’t stats manipulations, they’re downright wrong. How can you have honest government with dishonest numbers? Hi Bunji, thanks for taking the time. After clicking ‘Submit Comment’ I pondered ‘Is my comment on topic or is it a rant?’ It virtually ignores your key point. Yes Bunji, I don’t think your point can be denied, twisting and cherry picking is one thing. Complete fabrication is nothing short of fraud. Coke (National tm) is advertising that they have made it more healthy than Pepsi, with reduced sugar. Really, they have doubled the sugar, so you get thirstier and drink more of it. Pepsi, which is being honest about their sugar levels, are losing sales to Coke who are lying about theirs. (Apologies to the real Coke and Pepsi companies, who are much more honest than right wing politicians). You don’t think it might have more to do with people prefer coke to pepsi rather than shape shifting Illuminati aligned lizards pulling a swifty on the NZ population? You have shown me the way oh great overlord of the one liners (you are truly erudite and objective). I have been following your posts for some time now. Thanks to you I now I was (after all these years) wrong to think kindly and compassionately about the poor. I realize now that it is my, and I hope your job, to keep the economic boot of capitalism firmly on the throats of the poor. I do need a new BMW after all. I see you believe in lizards to. Me to! Just quietly I think JK maybe a Chukwalla. Chuckwallas are Lizards that are rock dwellers in the Southwest USA and Mexico. When threatened, they crawl into crevices and puff-up their bodies so that they are tightly wedged in and nothing can yank them out. Given the election result and the recent dirty politics scandal I think, just between you and me, he is a Chuckwalla. Rather poignant no? BM I feel we are now one and the same. An intermingled ecumenical helix of economic liberalism intertwined in snail like embrace. I hang on your every word. There is so much depth in your prose, even the use of the “the” takes on new meaning. So much information packed into your sentences I feel quite giddy just from the information overload. I look forward to corresponding with you soon,. ps I thinking of getting into housing rentals, do you think that I could earn enough from them in order to buy this: BMW M6 G-Power Hurricane RR $380,000? I bet you drive a BMW, black by any chance? 1. Someone says the Nats are lying, and provides evidence. 2. BM accuses them of believing in shape-shifting reptiles. Get off the pipe mate. It’s doing you no good. Yes, political parties stand to gain or lose much with the same tools used to further a product or service. A position that states all RW politicians are liars and all LW ones tell the truth sounds like an untruth to me. If we’re going to win this we have to start being honest. I believe virtually every Kiwi believes that all politicians are very skilled at being economical with the hard-nosed truth. With advertising and marketing, it’ll sell someone once. After that initial sale the product/service needs to get into the shopping basket next shopping day on it’s own merits. Pine Tree might get me into a Sangyong but if it’s a dog I’ll never get another. You could say that is why Labour has dropped so much. Got in by pretending to be Labour and then carried on being National lite. Not to mention the wreckage they caused in the 80’s. But, National has been the most dishonest of all. If they had been truthful, (instead of a snow job) about the continuation of asset sales, dropping most peoples income, selling everything that is not nailed down from under us, dropping State share of the economy to third world levels (26% according to English) and raising house and land prices to keep speculative mates, rich, they would have continued in opposition for years. The same applies to National. Stop saying “we”. You’re an admitted NAct voter. You already think you’re winning. I’m a Social Democrat. I voted National last time because I felt they were the party with policies most aligned with my principles. If Maori I would of voted for Kelvin Davis. I say ‘we’ because I think Labour have the potential to be the party that best addresses my ideals, they just haven’t been. They’ve morphed into the party for under achievers and excuse generators. They used to make things happen. Now they wait for things to happen to them. Labour is in my heart, I’m not in theirs. Special personal plea. Please change the headline tag. That ‘Lies, damned lies and statistics’ line is wrong and annoying. Certainly statistics can and often do get misused by incompetent or ill-intentioned people, playing on the fact that most people lack the skill to detect the misuse. But it is liar who is lying – not the statistics. Ah, but the 70% of statistics that are made up (including that one, and the ones National have sued for justifying various policies) are lies, no? Statistics in general aren’t lies, true, but it’s a very famous quote (apparently not Disraeli’s), which does illustrate the power of numbers to befuddle and bolster a weak argument. Statistics is an extremely important tool which lies at the heart of most modern science. Almost all real world data is either incomplete, noisy or compromised in some fashion. Statistical methods allows skilled practitioners to extract meaningful information from the data which is the vital step in all experimental confirmation or rejection of the hypothesis. Repeating the lazy old canard merely buys into many right-wing anti-science memes. It is hard to know where to start on this. I suggest you start at the big picture. The UN ranks NZ right at the top in terms of the 10 Fundamental Principles of Official Statistics, the governing principles of statistics transparency. Of course we also No 1 on transparancy and the absence of corruption. You should get out more around the world. You will appreciate how transparent our statistics are, and also the quality of most of our institutions. and just a reminder – we currently have a centre-left government in New Zealand. It is not a right wing government. I thought we were No. 1 based on the perception of the absence of corruption? That’s probably taken a bit of a hit, what with MPs using taxpayer funds for private business trips, police investigations being interfered with, and some book that came out a little while back. And if you believe that after all the Dirty Politics revelations then I’ve got a bridge to sell you. The National party has been moving the goalposts ever so slightly to the right every day. That Center Left party you see standing closer to the left goal post instead of the right is actually standing quite a bit to the right of where the right goal post used to be. The people in the National Party that where centrists or a bit left of center got kicked out of high level National Party positions and safe National seats. A certain oil slick gushed out of a blog spitting untruths so that his mates could unseat them. The extreme right now holds the balance of power within the National Party. The dirty tricks did not just get played on those on theft it also got played on those within National itself. The current government with its new cabinet positions it has created have also found a way to avoid some OIA requests. They have made it so information can now be hidden behind positions that are not subject to an OIA request. While OIA requests about opposition parties will still flow freely the ones to do with National will now be able to be reduced to a trickle and gamed to allow positive ones to go to the channels still subject to OIA requests. As for statistics why are they not collecting data about poverty and why have a lot of statistics that used to show bad news now been dropped from more funding? spylands is standing on a newly-discovered intellectual-dwarf planet called Highschooleconomica, an object so simple that there is nothing that can’t be described completely accurately using a scale-free 2d cartesian chart . Even Planet Key is several light-years to the left of Highschooleconomica. “we currently have a centre-left government in New Zealand. It is not a right wing government”. Someone should tell David Seymour. Of course they’re lying. National have to lie to get anyone except the psychopaths to vote for them. So, the sky is blue. 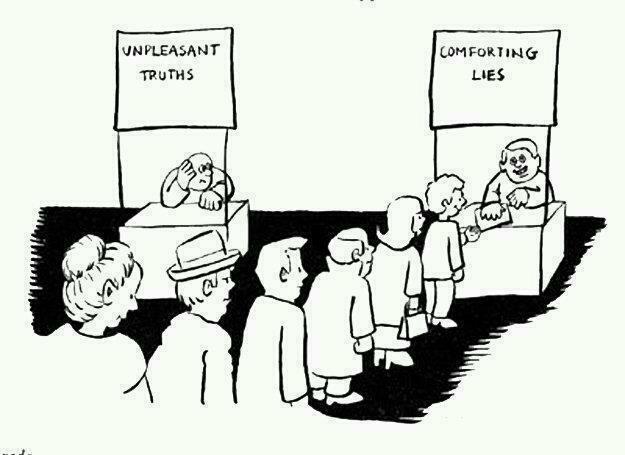 Politicians lie to you. That’s the nature of politics and power. It’s so ingrained it’s banal. No one listens. These endless “Nats are bad people” whinges mean nothing and have zero effect. Where’s the alternative story? Politicians lie to you. That’s the nature of politics and power. 2. It’s really only National that are lying. Nothing on the G20 coverage of the debt crisis in the EU, how there’s even more debt around than ever, and how deflation is about to hit in the EU zone. China and US are hardly able to keep growth go in globally.